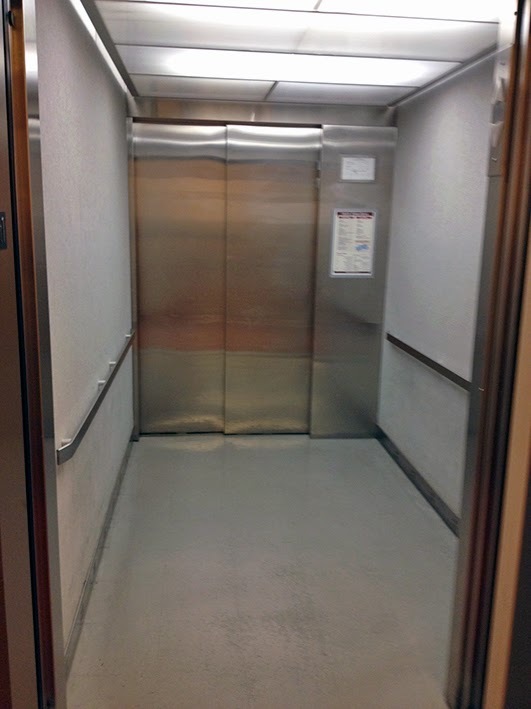 At first glance, you could be forgiven for thinking that this is just an ordinary lift. 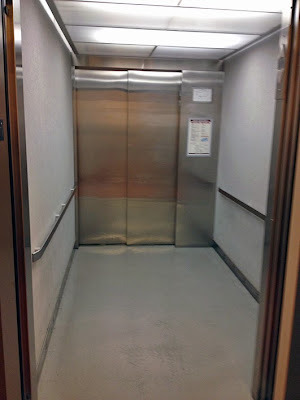 Actually, because it's to be found in the library at Stanford University, we'd better refer to it as an elevator. But it's not quite what it seems. According to Jon C, it's the radical new design for Dr Who's TARDIS.